He is cool, calm and collected. His name is Olayinka Lewis Carey, a Business Administration graduate of Bowen University who decided to go into the business of car hiring services after he graduated from school four years ago. 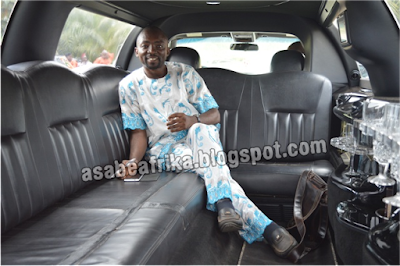 His company Color Varies Car Hire Services which started in Lagos three and a half years ago later went into Limousine car hires services with premium chatter services for top notch individuals and celebrities in the society including movie makers. 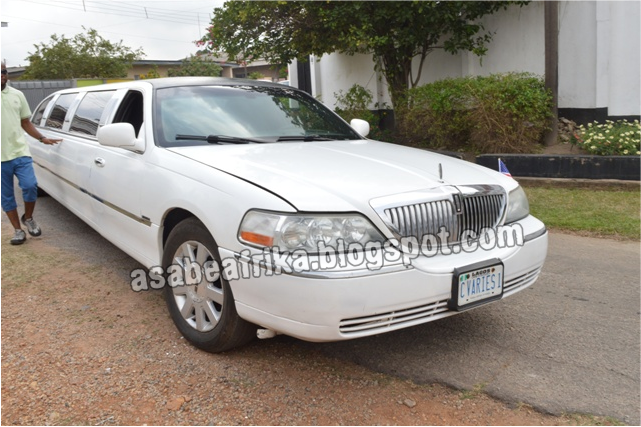 Today, with an office in Ikolaba area of Ibadan, they have become the Number 1 Limousine service company in the city. 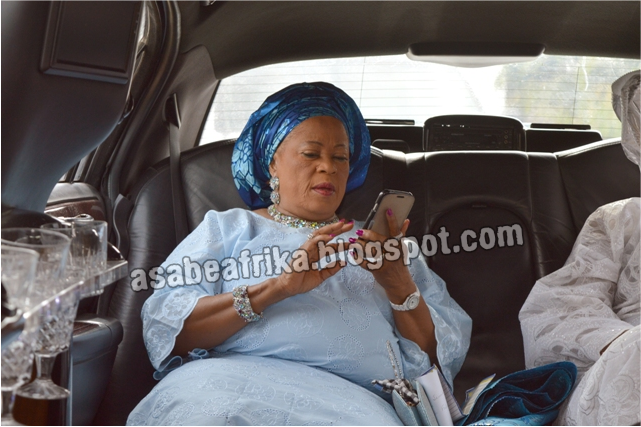 The soft spoken big boy was the cynosure of all eyes recently when he gave a befitting chauffer service to wife of former minister of Police Affairs, General David Medayese Jemibewon; Chief (Mrs.) Dupe Jemibewon from Ibadan to Orin Ekiti in Ekiti state South West Nigeria where the cream-de-la-cream of Nigerian society pulled over to attend her late father, Chief John Bosede Ajayi’s funeral on Saturday August 8th 2015. The addition of the Limo car to the convoy of cars that led the hearse of Baba Ajayi to Orin Ekiti gave color to the event and equally brought all eyes in Ibadan and Orin Ekiti on the Limo car which gave the event the desired celebrity status in the country side home of the Ajayis. Your Africa’s number 1 celebrity encounter blog Asabeafrika had an encounter with Mr. Carew in company of the car’s engineer, Engineer Raphael inside the Limo car at Orin. It was quite a revealing encounter. Enjoy the excerpts first on your Africa’s number 1 Celebrity encounter blog Asabeafrika. 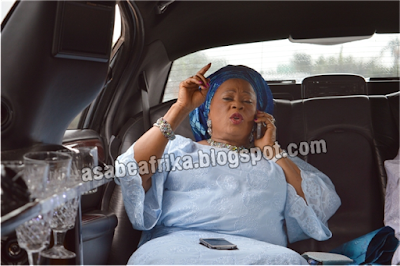 Your Limousine car hiring services is said to be a one stop company in Ibadan and today you specially ferried Chief Mrs. Dupe Jemibewon to Orin Ekiti, can you tell us about yourself? My name is Olayinka Lewis Carew I am from Ibadan in Oyo State. Yes, Chief (Mrs.) Dupe Jemibewon is one of our high profile clients; we ferried her to her father’s burial ceremony here in Orin Ekiti. 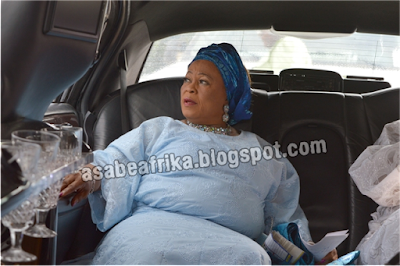 Our service complemented the hearse that ferried the remains of her great dad, Baba John Bosede Ajayi. 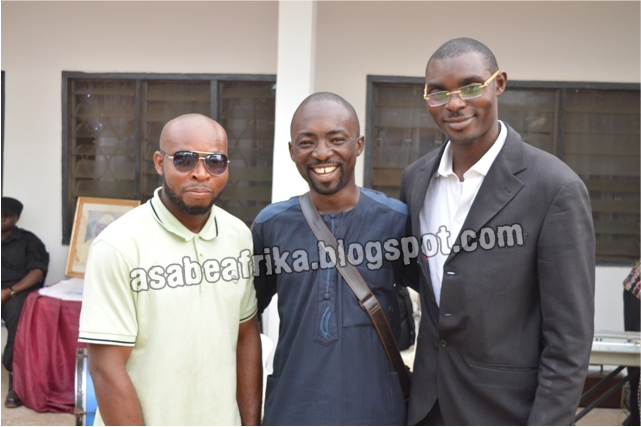 The event actually started in Ibadan and it has been a very great experience altogether. 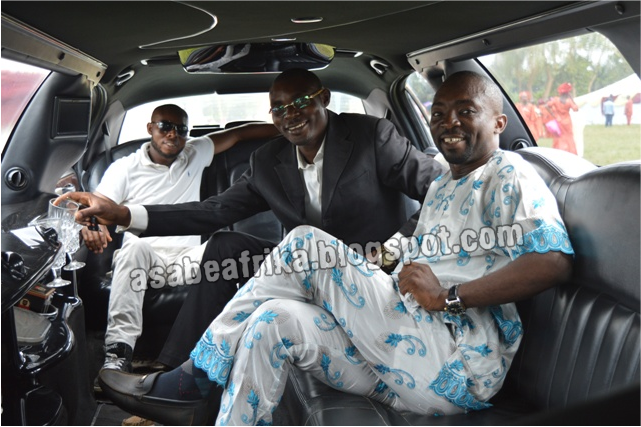 “Secondly, we also wanted to dispel the common belief that it is only the high and mighty or rich and well-to-do that can hire a Limo for a fee; no, ordinary people can equally hire a Limo at a price that is very friendly with their income”. 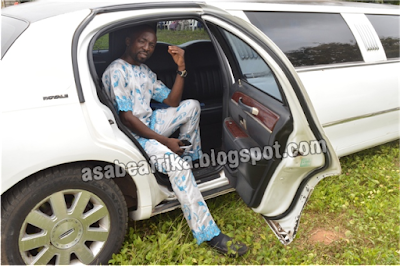 So, how did you start the Limo service in Ibadan? We actually started our business in Lagos with the name C-Varies which is an abbreviation for Color Varies Car Hire Services. 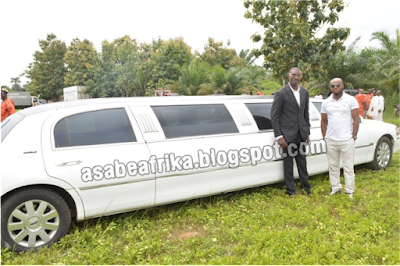 We offer our services for weddings, celebrity engagements and any high profile events and at times we have artistes who hire our Limo for their movies. And because of the saturated market in Lagos we decided to extend our services to Ibadan because we did a research and discovered there was nothing like that in Ibadan and we discovered that people of Ibadan land equally have a high taste for quality event and services. So, we decided to extend our services to Ibadan and luckily for us, we found a market in Ibadan. 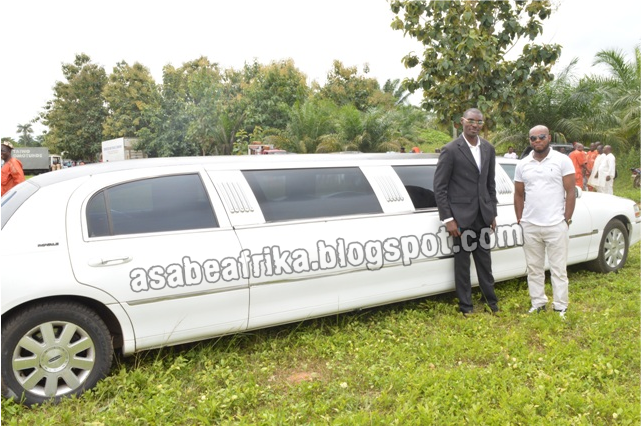 Secondly, we also wanted to dispel the common belief that it is only the high and mighty or rich and well-to-do that can hire a Limo for a fee; no, ordinary people can equally hire a Limo at a price that is very friendly with their income.  Are you saying your services are affordable to all Nigerians irrespective of class? People need not to be afraid in the sense that we have class regulated services for various classes of individuals. You don’t have to be a rich man or rich woman to get us chauffer you on your wedding day. It is negotiable, all you need do is visit us and we show you our rates. We have an intra city rate and we equally have an intercity rate. 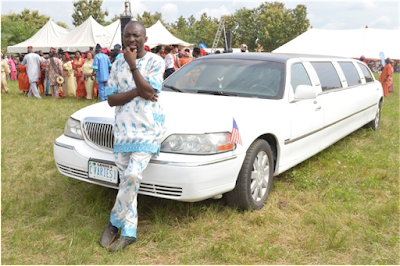 For example, if you are to use our Limo services in Ibadan there is a rate you pay for the entire day or number of days you want to use the service and if it is out of Ibadan or outside Oyo state, we charge you what we call ‘Out-Station-Rate” which means we are taking you out of the city of resident of the car. So, we have various charges and I can tell you it is not expensive. We are very considerate and we equally give discount. All you need do is call, visit and find out. Can you tell us the cheapest rate you take for a city ride, I mean within the city? That is highly confidential, it is our business strategy and rating your business in public can be professionally injurious. While travelling from Ibadan to Orin Ekiti yesterday, we had drinks from your bar area and there was equally Television entertainment, is that the only thing we can get? Well, that is the trademark of a Limousine car. It is all about leisure and pleasure. One, it makes you feel comfortable because it is a roomy car. Secondly, it gives you a homely impression, you feel like you are in your sitting room or your bed room. You have your choice of drinks, your choice of movie, and your choice of music if you desire; and part of our service is to give you a free drink, free snack and other variables that will make your journey interesting. It is a home-on-wheels and that is the kind of treatment we accord our clients. “Whenever it takes off, then it moves especially on the high way. There is no stopping. The velocity is high because it moves like a jet. So, it is a land jet. A limousine is a land jet”. Do you allow people to do things like kissing their brides and having general fun inside the Limo compartment? For the duration of the journey, you are permitted to display a magnitude of leisure. For instance if you are a wedded couple, there is every possible means for you two to display your affection; as the director of the voyage I have no authority over your emotions. My own brief is to take you from your take-off point and drop you at your desired destination; we don’t assume power over people’s emotion. We allow you to display your emotion to the best of your knowledge. Some people even hire our Limo to just give themselves a treat; maybe a wedding treat or an anniversary celebration or whatever. If you are a duly married couple you could exchange kisses; you could hug as that shows sign of love. That is the limit you can go; you can pop a cup of wine, chilled wine, watch movies, listen to a good music and enjoy the bar area of the Limo. Of course it will be very absurd if you go extra mile doing other stuff. 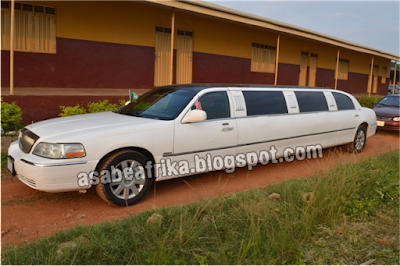 But for the duration of time you chatter the Limo, you have the experience to your self alone. You can even have a business meeting in the car while the journey lasts. I studied business administration at Bowen University and I have had couple of experiences here and there before I went into car hire services and Limousine rental. Can you tell us a bit about your clients? We have various categories of clients. 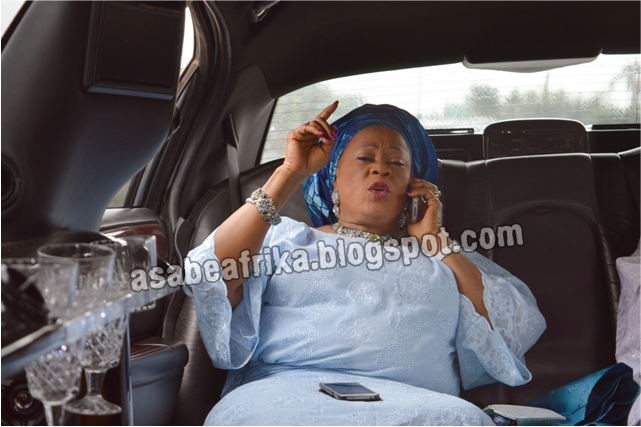 We have the upper class clients, the society big wigs like Chief (Mrs.) Dupe Jemibewon who enjoy our services from time to time and we also have the celebrities, actors and actresses who come from time to time to hire our Limo for their high end movie projects. 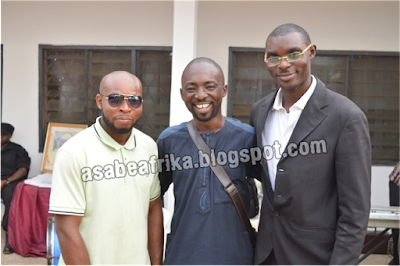 In fact, the organizer of the Movie Grammy Academy Award is one of our prime clients. 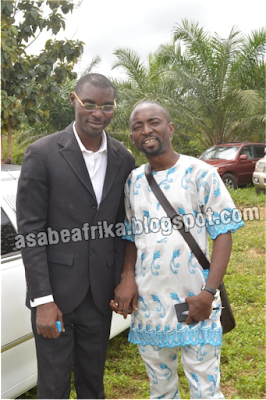 I am talking of Mr. Tunde Oshinibosi also known as LAFACE, his organization is a regular client. 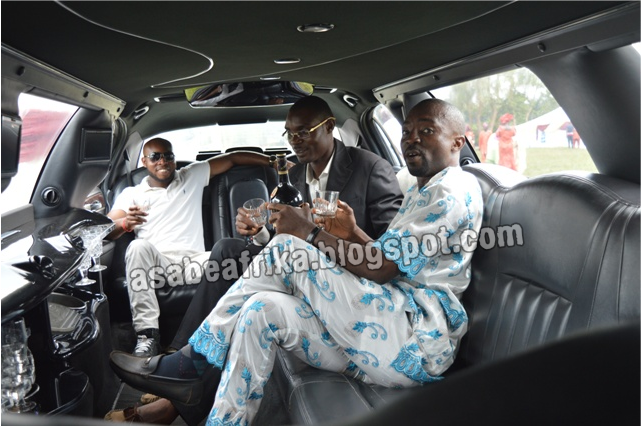 They have used our Limo in Ibadan for their event and they equally invited us to Oshogbo for another event. 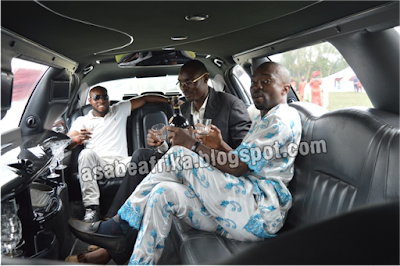 So, we have our clients in every strata of society and I think hiring a Limo for your activity is a good perception. If you want to make a statement with your event then hire a Limo. “If you are a duly married couple you could exchange kisses; you could hug as that shows sign of love. That is the limit you can go; you can pop a cup of wine, chilled wine, watch movies, listen to a good music and enjoy the bar area of the Limo. Of course it will be very absurd if you go extra mile doing other stuff”. While driving through with you yesterday, I noticed the level of speed and despite the bad roads, you were able to reach destination within 180 minutes. What is responsible for this? You see a Limo is more or less like a jet. If you look at it, it comes with tires and a form of low, low in height but it has the ferocity of a jet. Whenever it takes off, then it moves especially on the high way. There is no stopping. The velocity is high because it moves like a jet. So, it is a land jet. A limousine is a land jet. So, how do you manage the effect of bad roads on the car considering the terrible condition of our road network? It is a fact that we have bad road network in Nigeria and that is one of the reason why we charge higher for our inter-state services than the intra-state service. We spend quality money on maintenance and we also try to let people know that a Limo is a luxury car. It is a light car. A luxurious car and we try to let our clients know this before take off. If you load the car with varieties of goods, you will harm the work rate because it is a low-level but fast moving car. A snaky car; the concept of the car is snaky. Yesterday while leaving Ibadan some people were making jest of me saying I should find a crane to lift the car to Orin Ekiti and if it hangs on the pole while lifting it, I should be ready to bear the consequence. They said ‘oh, because of the various bends, you wont be able to make it’ and I said ‘fine, you just watch and see the way we drive it’. Of course, we have terrible road network but we also have our strategy. We always have our engineer, Mr. Raphael who is always on board with us. Whenever I am driving a long distance with the car, we go together as he is the certified engineer for the car. He understands the car and with him on board, it is like having a Co-Pilot. We are a solution driven company. So, what do you want to say to Nigerians who are reading this story and might likely want to have the Limo treatment for their events? 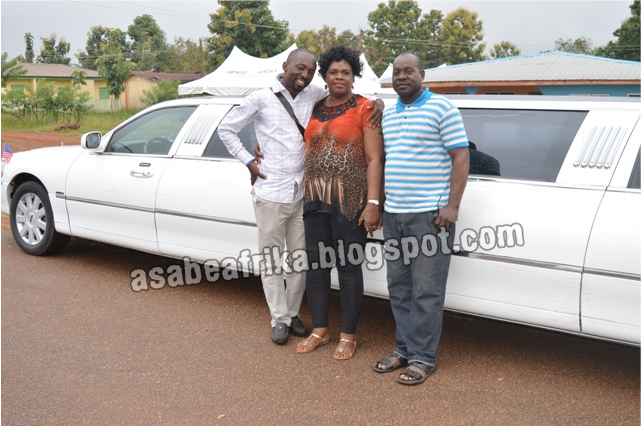 Let me tell you, Limousine is a lovely car which will always highlight your occasion. Everyone will come around to look and admire the car and by that your status will jump up. I will advise people to always consider a Limo for their wedding ceremonies. It makes your wedding colorful and equally makes the convoy more exciting and exotic. And the price if you try to find out might not be as big as a quarter of what you spend on your party meals. Thank you so much for a great video regarding limo. I genuinely loved it. 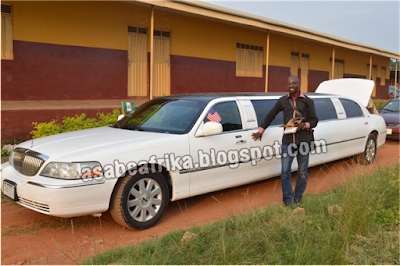 For further detail grand limousine service limo hire visit Lux Limo.